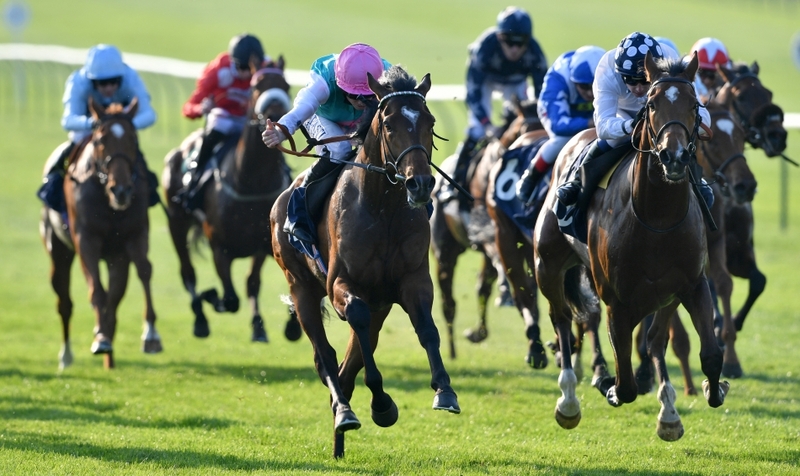 TODAY: He previews the Classic trials at the Newmarket Craven Meeting, starting Tuesday, and checks out more Longchamp trials this afternoon. TOMORROW: Daqman presents an Early Birds treble on the big-race scene, well in advance of their events. TUESDAY-THURSDAY: Race-by-race analysis of the Craven meeting. FRIDAY: AW Championships at Lingfield Park. 2.25 Tuesday, Newmarket (Free Handicap) Not a Classic trial these days but can produce a solid horse. Example: Garswood (2013), who subsequently won sprints at Group 1 and Group 2 levels for Richard Fahey. Fahey has Space Traveller off only 102 on Tuesday. That one had Criterium International placed Graignes in third when runner-up at Maisons-Laffitte in September. 3.00 Tuesday, Newmarket (Feilden Stakes) Winners of this include Intello (2013 French Derby hero and Arc third) and Golden Horn (2015 Epsom Derby and Arc winner). Tuesday’s card has prospects from the Golden Horn stable of John Gosden and from Aidan O’Brien. But the one I want to see is Frankel’s son Deal A Dollar, related on the dam’s side to Oaks winner Imagine and Derby winner Generous, and trained by Sir Michael Stoute. 3.35 Tuesday, Newmarket (Nell Gwyn Stakes) Beaten fillies currently do best. Billesden Brook, fourth last year, went on to take the Newmarket 1,000 Guineas. Sky Lantern, second in 2013, won at Newmarket (1,000 Guineas) and then at Royal Ascot (Coronation Stakes). Billesden Brook and Sky Lantern were both trained by Team Hannon, who can choose between – or run both of – Aim Power and Come On Leicester on Tuesday. 3.35 Wednesday, Newmarket (Craven Stakes) Team Hannon also does well in this trial, won last year by Charlie Appleby’s Derby winner, Masar. The Hannons had four Craven Stakes winners in a row (2012-15), and appear to have pinched the stars of the weighing-room for Fox Champion (Silvestre De Sousa) and Watan (Ryan Moore). 1.35 Longchamp today (Prix de Fontainebleau) Paul Cole, who has won two out of three in the last couple of days, has booked Christophe Soumillon for Duke Of Hazzard. Cole describes the Duke as having ‘incredible speed’ and he appears to be the danger to one of the French Guineas favourites, Persian King (Andre Fabre). Persian King is unbeaten (3-3) since his debut. The colt he beat at Newmarket in October went on to win a Group 1 at Doncaster. 2.50 Longchamp (Prix de la Grotte) It’s a big ask by Simon Crisford of his Imperial Charm to take on some hot French fillies in this, and it’s an impossible ask of me to give you the winner. Watching brief. 4.35 Longchamp (Prix Noailles) Lambourn has a runner in this, Joseph Tuite’s Surrey Thunder, but he looks unlikely to stop Fabre’s pair, Syrtis and Slalom. If Persian King wins the Fontainebleau by a street that would boost the chances of Freddy Head’s Lone Peak, who was the King’s runner-up at Chantilly in September. 2.05 and 4.20 Stratford Dan Skelton, who has hit with 10 winners in five days in a relentless gallop to 200 winners, has to be backed today. He still needs eight. Ferrobin (2.05) is upped in trip but won on the debut on good ground by 28 lengths. Ratoute Yutty (4.20) is 10lb better off in a revenge bid against his Doncaster conqueror, Its All A Lark. 1.50 and 3.00 Wincanton In the 3.00 race, three exposed veterans at the top of the handicap and right at the bottom a 16-race loser. This fast oval over the minimum looks a bit tricky for the stayer long-absent Royal Supremo, and Poker School is a bridesmaid, eight times placed without winning since December 2016. Mine’s A Pint was a long way behind Opening Batsman over further on the course on the last day. So I shall chance 5.9 BETDAQ offer Turtle Wars for Nicky Henderson and Nico De Boinville, who may well have got off the mark with Headstroke (1.50).